EC comics was the powerhouse of the Fifties and would have continued for many years possibly out doing Marvel in the present, but during the Comics Code came along with its sorted history and well changed the face of comics. Incredible Science Fiction was a retitled version of the comic Weird Science-Fantasy, which changed its title in 1955 in order to be accepted under the Comics Code, which did not allow the use of the word "Weird". The comic changed its title with issue 30, but due to attempts to save money on postage, the numbering did not restart (and hence, issue 30 is actually the first issue of this title). Aside from the title change, Incredible Science Fiction was also different from its predecessor because it now had to follow the tight standards of the Comics Code, which was created in 1954 to censor the controversial comics of that time. Eventually the Comics Code would spell the end of not only this comic, but all comics produced by EC. When a story in issue 33 did not meet the standards of the Code, publisher Bill Gaines and editor Al Feldstein decided to reprint the story "Judgment Day!" (originally in Weird Fantasy #18). A powerful anti-racism story, "Judgment Day!" 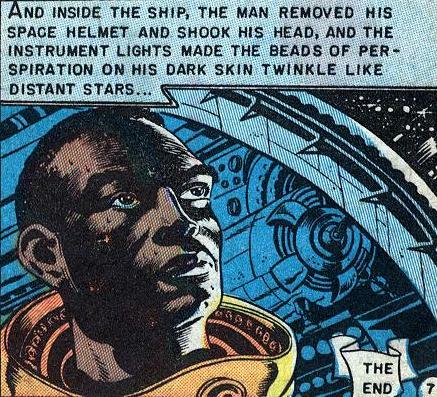 was also rejected because Judge Charles Murphy, the Comics Code Administrator, demanded that the black astronaut be removed. Gaines refused and threatened to take the matter to the Supreme Court. The Comics Code backed down, and Gaines then printed the story without any changes. But Gaines had seen the writing on the wall, and he left the comic book industry soon after. Incredible Science Fiction #33 was the last comic book he would publish. 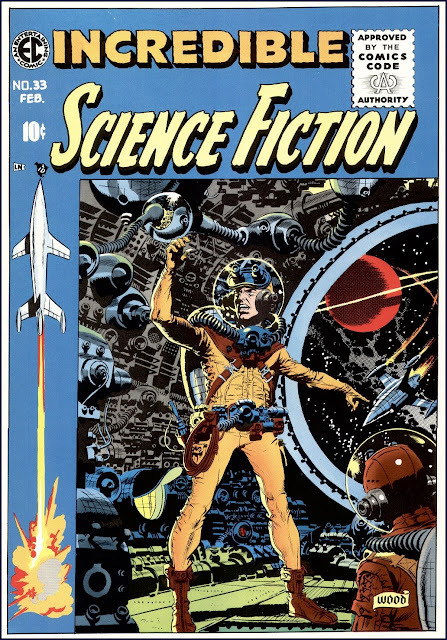 Incredible Science Fiction ran for four issues, boasting a number of skilled artists including Jack Davis, Wally Wood,Bernard Krigstein, Joe Orlando and Roy Krenkel. Three of its covers were done by Davis, with the final issue's cover by Wood. 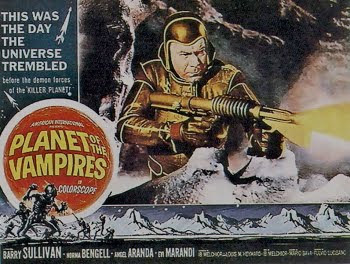 This comic is notable for having Jack Davis' only science fiction work for EC. Roy Krenkel also provided his only solo story for EC with issue 31's "Time to Leave". The story "Food For Thought" from issue 32 (which featured art predominantly from Al Williamson but also Roy Krenkel as well) was awarded best artwork for an individual science fiction story at the 1972 EC Fan-Addict Convention. This was a land mark issue featuring some of the straight up talents of such greats such as Wally Wood and many more this issue also had some ground breaking science fiction echoing the times, done in the classic EC style. The Big Moment is at once a post apocalyptic story, lost world, and sc fi adventure all wrapped together and its a perfect jump off point for a time travel adventure. There are some very deep roots here to pull a party of adventurers into the deep end of the sc fi pond. Kaliscope is just the sort of adventure where an old man's imagination might provide some vital clues for a party to perhaps not his dreams and flights of fancy but memories of times long past which might be molded into a vital part of an adventure. Classic artwork makes this story a perfect blend of science fiction comic and classic fifties themes. 'One Way Hero' gives a possible origin for an NPC whose suffered the effects of classic 'space madness' and washed out. 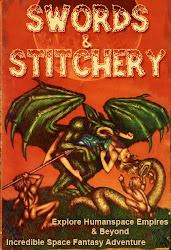 This tale has bits of old EC horror in the background buts punch is a bit bitter. Small World is a classic EC one pager, a small side line story with the bits and pieces of the EC twist to it. An Eye For An Eye is a classic post apocalyptic wasteland tale with classic EC sci fi artwork and the twists that make EC such a great company. This tale can easily be used as a jump off point for a Mutant Future or even a Metamorphosis Alpha 1st edition jump off point. It has all of the classic EC earmarks and can easily be used for a touch stone for a number of old school adventures points. I'd often heard/read about that story but never got the read the ACTUAL story. Thank you very much for sharing this one! Good morning Bruno, we've got you covered with the 1953 EC classic 'Judgement Day' for download and an excellent reference article as well. Some fantastic stuff. And no while it wasn't in the blog article, I've remedied that situation for you my friend. Cheers, I hope you enjoy the story and reference material as well. Thanks for letting me know what you wanted to see. More EC and classic comic book goodness coming up! No problem at all. More EC goodness in a couple of days. Cheers!